The Presidency on Sunday faulted an allegation of nepotism recently leveled against the Acting President, Yemi Osinbajo, by one Ismailia Farouk. 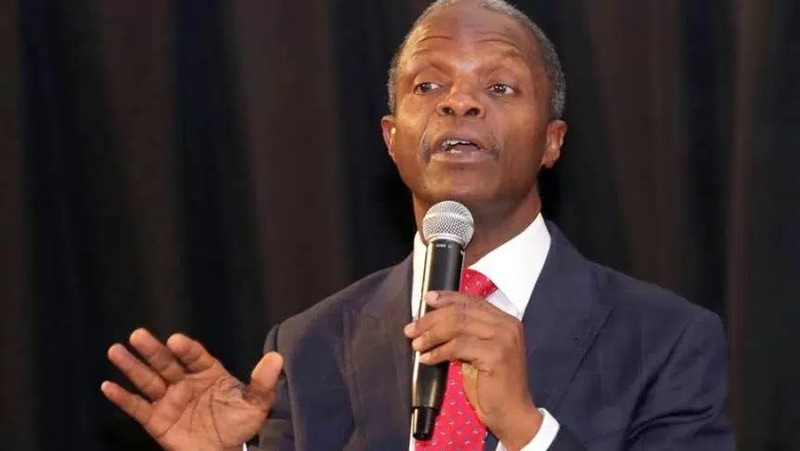 Farouk, in a message, that went viral on the social media, accused Osinbajo of appointing his aides majorly from his church, the Redeemed Christian Church of God, or from the South West where he hails from. But a statement from the Presidency on Sunday quoted Osinbajo’s Senior Special Assistant on Legal Matters, Dr. Bilkisu Saidu, has dismissing the allegation while speaking on “Shirin Safe,” an interview programme on BBC Hausa Radio on Sunday. The presidential aide was reported to have claimed that most senior positions Osinbajo’s office are held by Muslims including individuals who are from the North. “If you are talking about religion, the most senior official or position in the Office of the Vice President apart from the Vice President himself, is the office of the Deputy Chief of Staff to the President and the name of the person occupying that office is Abdulrahman Ipaye and he is a Muslim. “The positions following the Chief of Staff’s in the order of hierarchy are the Special Advisers in the office of the Vice President. Here there are three Special Advisers and two out of the three Special Advisers are Muslims, Senator Babafemi Ojudu and Barrister Mariam Uwais from Kano State. “If you look at the remaining senior positions in that office, most of them are in the hands of Muslims from the North. “For instance, the person in charge of Protocol (i.e. the Director of Protocol) is Ambassador Abdullahi Gwary from Yobe State; those in charge of welfare and health in the office of the Vice President are mostly Muslims and from the north. “Worthy of note are the stewards, those who serve the Vice President’s meals, they are mostly Muslims, so what do the critics mean when they talk about religion?” she was further quoted as saying. Saidu was also quoted as saying that when those she called “non-progressive minded people” fail to win public support on their personal agenda, they often resort to the use of religion given its sensitivity among Nigerians. “When people lack what to use or have exhausted all avenues to speak evil against perceived opponents or ridicule the good works that they are doing, they resort to use of religion or other means possible to damage the image and reputation of that opponent,” she added.